New Delhi might have violated her rights under International Law and Article 21 by assisting in returning an asylum seeker to the country of persecution, without first determining if they were a genuine seeker of asylum or not. 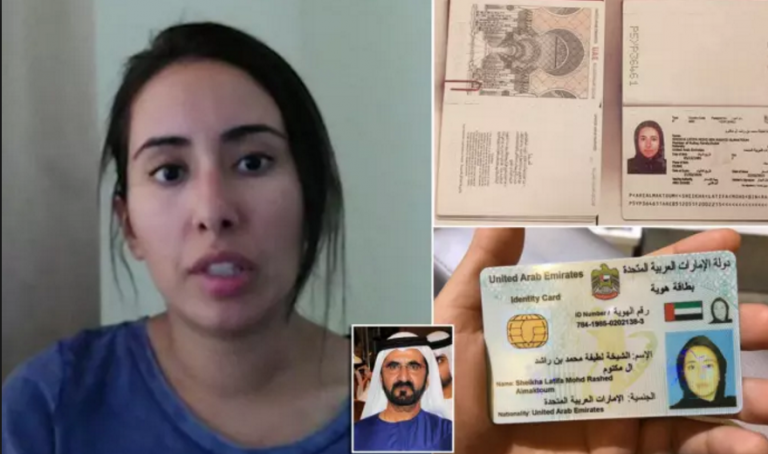 Sheikh Latifa, (“Princess”) daughter of Mohammed Al Maktoum, the ruler of Dubai, made headlines when a video she made earlier this year went viral on the internet after she went missing. On March 3, 2018 the Princess, Tiina Johanna Jauhiainen from Finland and Hervé Jaubert a former officer with the General Directorate for External Security (France) went missing off the coast of Goa in India waters. They were on a US registered vessel known as "Nostromo". On March 30, news broke that on March 4, the vessel Nostromo that was carrying the pair had been attacked by a "small armada of military vessels” according to Jaubert of the coast of Goa. Tiina Johanna Jauhiainen the Finnish national on the vessel said that the vessel was attacked by armed guards. Radha Stirling, Director of ‘Detained in Dubai’, in an e-mail to the Indian Coast Guard states that the armed attack on the US vessel happened on March 4 within Indian Territorial Waters. Further, according to Jaubert, he was informed that Emirati Authorities were acting under Islamic Law as “because under Islamic law women are in the custody of a father, husband or brother. 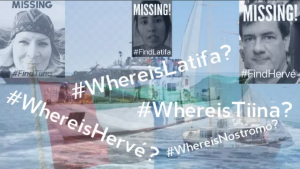 So when I helped Latifa to escape, they viewed that as kidnapping her from her father.” Mr Jaubert further says that the vessel was stormed by the Indian Coast Guard. As per Jauhianinen, "Latifa was screaming at the Indian men that she was claiming political asylum. They dragged her away as I heard her say, ‘I won’t go back to the UAE, just kill me now". a) There was a US Vessel that was subject to hostile boarding within Indian Territorial Waters. b) It is alleged that the vessel was boarded by the Indian Coast Guard. c) The Vessel was allegedly carrying an asylum seeker, that is Princess Latifa. India's maritime boundaries are governed by the The Territorial Waters, Continental Shelf, Exclusive Economic Zone and other Maritime Zones Act, 1976. "The sovereignty of India extends and has always extended to the territorial waters of India (hereinafter referred to as the territorial waters) and to the seabed and subsoil underlying, and the airspace over, such waters." India's territorial waters are 12 Nautical Miles from the nearest costal baseline (See Section 3(2) of the Act). These waters are the sovereign territory of India and from an integral part of India. India has exclusive jurisdiction over these waters and if there is a criminal incident that occurs in these waters, it is India that has jurisdiction to investigate into this offence. However, no First Information Report (FIR) has been registered, perhaps because no Indian national was a victim of the incident; and it is alleged that Indian State Actors, that is the Coast Guards, were the ones who perpetrated the incident. While India does have sovereign rights over the territory, under the Act foreign vessels are guaranteed the right of peaceful passage within India's territorial waters (See Section 4). The Explanation to Section 4 defines what peaceful passage means, it reads: " For the purposes of this section, passage is innocent so long as it is not prejudicial to the peace, good order or security of India". If the Indian Coast Guard was to board the vessel and return it to its home port, it would have to be satisfied that the vessel was acting in a manner that was prejudicial to peace, good order or the security of India. Even if Central Government was of the opinion that Princess Latifa, upon landing on Indian shores, would cause a “diplomatic incident” with Dubai, then it wouldn't be able to stop the ship from passing through Territorial Waters, as the explanation doesn't cover "Friendly Relations with Foreign States" – a restriction that is explicitly spelled out in other parts of Indian legislation including 19(2) of the Constitution. The factual determination which ought to have been done in this case is that in the event the ship was permitted to dock in India, would the presence of the Princess on Indian shores have caused issues relating to peace and good order in India, or if it was determined that the vessel was one with hostile intent, in which case the Coast Guard would automatically have jurisdiction to board the ship. (l) any other activity not having a direct bearing on passage." In the present scenario, the Indian Government may have had cause to board the vessel under 2(d) of Article 19 of the Convention, as the presence of the vessel in Indian shores might have helped in India being used as a place where propaganda against the UAE government may have been conducted and this propaganda would have hurt India's security interest. What would also be of interest is if India could have justified turning the vessel back under Article 19(2)(g) of the Convention which talks about the unloading of persons contrary to the immigration laws of India. Entry and exit into India is governed under the terms of the The Passport (Entry into India) Rules, 1920. Under the Passport (Entry into India) Rules, 1950 (framed under the aforementioned legislation), persons who enter India are required to be in possession of a valid passport and may only enter India from ports specified under the Foreigners Order of 1948. Rule 5 of the Rules specifies what a valid passport is for the purposes of the Rules. Rule 5(iv) makes it a requirement that a person entering into India from a country that is other than Bangladesh, Nepal or Pakistan (them having special visa requirements) be in possession of passport with a visa issued by an Indian Authority prior to making the entry into India. A visa on its own doesn't confer a right to enter into India, the final decision being with the immigration officer at the port of entry. However, if Indian authorities found that there was no visa record for the passengers on the ship, the Indian authorities may take recourse to the Rules and say that they turned them away in order to enforce the rules. Which brings out the last complication in this series of unfortunate events, the return of a person claiming to be an asylum seeker to the country where she was fleeing from. Under customary international law, the Princess had a right to seek asylum in India and have her status determined by a competent tribunal in India. India is not a party to the Convention Relating to the Status of Refugees, 1951 however, the principle of Non-refoulement is one that is recognised in customary international law, though not recognised explicitly under Indian legislation. But it may be a principle that arises from Article 21 of the Constitution of India. Via decisions of India's Supreme Court, the right against torture has been read into Article 21. There can be a case that if India knowingly sent a person back to a place where they would be tortured, India would have breached that person's rights under Article 21. Article 21, unlike Article 19 of India's Constitution, extends to "all persons" and is not restricted to citizens. While it is tough to find direct precedent to support this position, there is foreign precedent that may be of some guidance. In Soering v United Kingdom 161 Eur. Ct. H.R. (ser. A) (1989), the European Court of Human Rights held that the deportation of a person to face the death penalty, would be a violation of the rights of that person under Article 3 of the European Convention on Human Rights. Article 3 of this convention protects a person from inhuman and degrading treatment. Even if India was merely intercepting the boat to return it to Dubai, it may have still violated the Princess’s rights under International Law and Article 21 as it assisted in returning an asylum seeker to the country of persecution without first determining if they were a genuine seeker of asylum or not. This is what perhaps makes the decision of the Indian Government difficult to defend both politically and legally. It is morally abhorrent to send a refugee back to their country of persecution without first determining if they are a refugee or not. It is a practice that is universally condemned. There is one last thing that would be of consideration though. This entire incident may have had little or nothing to do with the Princess. The fact that Hervé Jaubert a former officer with the General Directorate for External Security (France) was on that ship could be used as justification for India to assert her security interests. But even then India would have to answer why he wasn’t arrested and brought to trial or deported for potential espionage. Overall this was an incident that India should not have participated in. It has reduced its moral standing amongst the community of nations. India has to assess whether breaching its domestic and international obligations was worth scoring a few brownie points with the UAE. Ajay Kumar is an Advocate practising at the Bombay High Court. He is currently retained by MZM Legal and may be reached at ajay.kumar@mzmlegal.com.